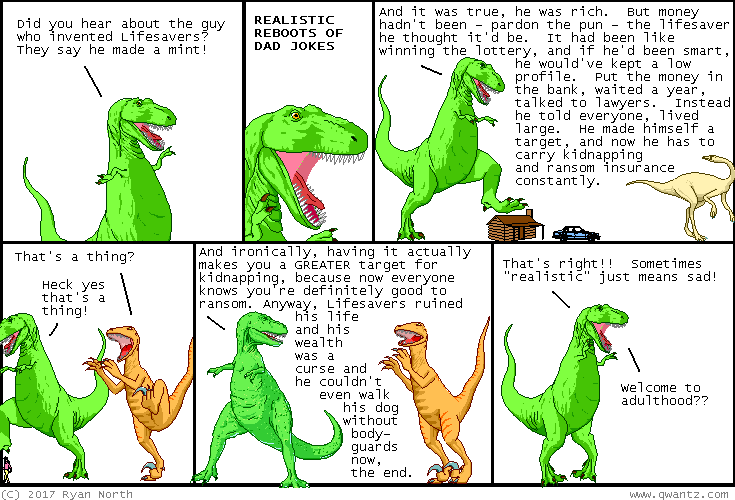 Dinosaur Comics - April 10th, 2017 - awesome fun times! –I need to find myself a Valentine, STAT! April 10th, 2017: Listen, some of my best friends are dads. You might not believe me if I told you, but I actually have a family member that I'm very close to, and that guy has been a dad for as long as I've known him!